The historical veracity of this meeting was doubted by John W. Starr in Lincoln and the Railroads — although Starr noted that the story was passed down in the Corning family. The Tribune journalist to whom Major James B. Merwin dictated the story said that he thought Corning “took pains that no record was left (if any ever was made) connecting him with Lincoln” because of Corning’s association with anti-War Democrats.2 Starr reported that Corning supposedly met Merwin in 1860 in the lobby of the Astor House and said he needed to meet Mr. Lincoln. After the introduction the railroad president opened the subject which lay on his mind. This proposition was as amazing as it was sudden. Both his hearers were struck dumb with surprise. Merwin stared first at Corning, then at Lincoln, and the latter lapsed into a deep study. “But Corning did not want a hasty decision. He desired Lincoln to think over the proposition calmly and from all points. Lincoln seemed dazed after his visitor left, and looked inquiringly at Merwin. “Of course you’ll accept? The latter suggested. But the Sangamon attorney slowly shook his head. “No, Merwin, I don’t think I shall,” he replied. “Why, man alive, of course you’ll accept!” Merwin persisted. ‘Why debate about it? Your letter of May 19th. inclosing the resolutions of a public meeting held at Albany, N.Y. on the 16th. of the same month, was received several days ago. The resolutions, as I understand them, are resolvable into two propositions—first, the expression of a purpose to sustain the cause of the Union, to secure peace through victory, and to support the administration in every constitutional, and lawful measure to suppress the rebellion; and secondly, a declaration of censure upon the administration for supposed unconstitutional action such as the making of military arrests. And, from the two propositions a third is deduced, which is, that the gentlemen composing the meeting are resolved on doing their part to maintain our common government and country, despite the folly or wickedness, as they may conceive, of any administration. This position is eminently patriotic, and as such, I thank the meeting, and congratulate the nation for it. My own purpose is the same; so that the meeting and myself have a common object, and can have no difference, except in the choice of means or measures, for effecting that object. And here I ought to close this paper, and would close it, if there were no apprehension that more injurious consequences, than any merely personal to myself, might follow the censures systematically cast upon me for doing what, in my view of duty, I could not forbear. The resolutions promise to support me in every constitutional and lawful measure to suppress the rebellion; and I have not knowingly employed, nor shall knowingly employ, any other. But the meeting, by their resolutions, assert and argue, that certain military arrests and proceedings following them for which I am ultimately responsible, are unconstitutional. I think they are not. The resolutions quote from the constitution, the definition of treason, and also the limiting safe-guards and guarantees therein provided for the citizen, on trials for treason, and on his being held to answer for capital or otherwise infamous crimes, and in criminal prossecutions [sic], his right to a speedy and public trial by an impartial jury. They proceed to resolve ‘That these safe-guards of the rights of the citizen against the pretentions [sic] of arbitrary power, were intended more especially for his protection in times of civil commotion.’ And, apparantly [sic], to demonstrate the proposition, the resolutions proceed ‘They were secured substantially to the English people, after years of protracted civil war, and were adopted into our constitution at theclose of the revolution.’ Would not the demonstration have been better, if it could have been truly said that these safe-guards had been adopted, and applied during the civil and during our revolution, instead of after the one, and at the close of the other. I too am devotedly for them aftercivil war, and before civil war, and at all times ‘except when, in cases of Rebellion or Invasion, the public Safety may require’ their suspension. The resolutions proceed to tell us that these safe-guards ‘have stood the test of seventysix years of trial, under our republican system, under circumstances which show that while they constitute the foundation of all free government, they are the elements of the enduring stability of the Republic.’ No one denies that they have so stood the test up to the beginning of the present rebellion if we except a certain matter [occurrence] at New Orleans hereafter to be mentioned; nor does any one question that they will stand the same test much longer after the rebellion closes. But these provisions of the constitution have no application to the case we have in hand, because the arrests complained of were not made for treason—that is, not for the treason defined in the constitution; and upon the conviction of which, the punishment is death—; nor yet were they made to hold persons to answer for any capital, or otherwise infamous crimes; nor were the proceedings following, in any constitutional or legal sense, ‘criminal prossecutions.’ The arrests were made on totally different grounds, and the proceedings following, according with the grounds of the arrests. Let us consider the real case with which we are dealing, and apply to it the parts of the constitution plainly made for such cases. Prior to my instalation [sic] here it had been inculcated that any State had a lawful right to secede from the national Union; and that it would be expedient to exercise the right, whenever the devotees of the doctrine should fail to elect a President to their own liking. I was elected contrary to their liking; and accordingly, so far as it was legally possible, they had taken seven states out of the Union, had seized many of the United States Forts, and had fired upon the United States Flag, all before I was inaugerated [sic]; and, of course, before I had done any official act whatever. The rebellion, thus began soon ran into the present civil war; and, in certain respects, it began on very unequal terms between certain parties. The insurgents had been preparing for it more than thirty years, while the government had taken no steps to resist them. The former had carefully considered all the means which could be turned to their account. It undoubtedly was a well pondered reliance with them that in their own unrestricted effort to destroy Union, constitution, and law, all together, the government would, in great degree, be restrained by the constitution and law, form arresting their progress. Their sympathizers pervaded all departments of the government, and nearly all communities of the people. From this material, under cover of ‘Liberty of speech’ ‘Liberty of the press’ and ‘Habeas corpus‘ they hoped to keep on foot amongst us a most efficient corps of spies, informers, supplyers [sic], and aiders and abettors of their cause in a thousand ways. They knew that in times such as they were inaugerating [sic], by the constitution itself, the ‘Habeas corpus’ might be suspended; but they also knew they had friends who would make a question as to who was to suspend it; meanwhile their spies and others might remain at large to help on their cause. Or if, as has happened, the executive should suspend the writ, without ruinous waste of time, instances of arresting innocent persons might occur, as are always likely to occur in such cases; and then a clamor could be raised in regard to this, which might be, at least, of some service to the insurgent cause. It needed no very keen perception to discover this part of the enemies’ programme, so soon as by open hostilities their machinery was fairly put in motion. Yet, thoroughly imbued with a reverence for the guarranteed [sic] rights of individuals, I was slow to adopt the strong measures, which by degrees I have been forced to regard as being within the exceptions of the constitution, and as indispensable to the public Safety. Nothing is better known to history than that courts of justice are utterly incompetent to such cases. Civil courts are organized chiefly for trials of individuals, or, at most, a few individuals acting in concert; and this in quiet times, and on charges of crimes well defined in the law. Even in times of peace, bands of horse-thieves and robbers frequently grow too numerous and powerful for the ordinary courts of justice. But what comparison, in numbers, have such bands ever borne to the insurgent sympathizers even in many of the loyal states? Again, a jury too frequently have at least one member, more ready to hang the panel than to hang the traitor. And yet again, he who dissuades one man from volunteering, or induces one soldier to desert, weakens the Union cause as much as he who kills a union soldier in battle. Yet this dissuasion, or inducement, may be so conducted as to be no defined crime of which any civil court would take cognizance. Ours is a case of Rebellion—so called by the resolutions before me—in fact, a clear, flagrant, and gigantic case or Rebellion; and the provision of the constitution that ‘The privilege of the writ of Habeas Corpus shall not be suspended, unless when in cases of Rebellion or Invasion, the public Safety may require it’ is the provision which specially applies to our present case. This provision plainly attests the understanding of those who made the constitution that ordinary courts of justice are inadequate to ‘cases of Rebellion’—attests their purpose that in such cases, men may be held in custody whom the courts acting on ordinary rules, would discharge. Habeas Corpus, does not discharge men who are proved to be guilty of defined crime, and its suspension is allowed by the constitution on purpose that, men may be arrested and held, who can not be proved to be guilty of defined crime, ‘when, in cases of Rebellion or Invasion the public Safety may require it.’ This is precisely our present case—a case of Rebellion, wherein the public Safety does require the suspension. Indeed, arrests by process of courts, and arrests in cases of rebellion, do not proceed altogether upon the same basis. The former is directed at the small per centage of ordinary and continuous perpetration of crime; while the latter is directed at sudden and extensive uprisings against the government, which, at most, will succeed or fail, in no great length of time. In the latter case, arrests are made, not so much for what has been done, as for what probably would be done. The latter is more for the preventive, and less for the vindictive, than the former. In such cases the purposes of men are much more easily understood, than in cases of ordinary crime. The man who stands by and says nothing, when the peril of his government is discussed, can not be misunderstood. If not hindered, he is sure to help the enemy. Much more, if he talks ambiguously—talks for his country with ‘buts’ and ‘ifs’ and ‘ands.’ Of how little value the constitutional provision I have quoted will be rendered, if arrests shall never be made until defined crimes shall have been committed, may be illustrated by a few notable examples. Gen. John C. Breckinridge, Gen. Robert E. Lee, Gen. Joseph E. Johnson, Gen. John B. Magruder, Gen. William B. Preston, Gen. Simon B. Buckner, and Commodore [Frank] Buchanan, now occupying the very highest places in the rebel war service, were all within the power of the government since the rebellion began, and were nearly as well known to be traitors then as now. Unquestionably if we had seized and held them, the insurgent cause would be much weaker. But no one of them had then committed any crime defined in the law. Every one of them if arrested would have been discharged on Habeas Corpus, were the writ allowed to operate. In view of these and similar cases, I think the time not unlikely to come when I shall be blamed for having made too few arrests rather than too many. By the third resolution the meeting indicate their opinion that military arrests may be constitutional in localities where rebellion actually exists; but that such arrests are unconstitutional in localities where rebellion, or insurrection, does not actually exist. They insist that such arrests shall not be made ‘outside of the lines of necessary military occupation, and the scenes of insurrection[. ]’ In asmuch [sic], however, as the constitution itself makes no such distinction, I am unable to believe that there is any such constitutional distinction. I concede that the class of arrests complained of, can be constitutional only when, in cases of Rebellion or Invasion, the public Safety may require them; and I insist that in such cases, they are constitutional wherever the public safety does require them—as well in places to which they may prevent the rebellion extending, as in those where it may be already prevailing—as well where they may restrain mischievous interference with the raising and supplying of armies, to suppress the rebellion, as where the rebellion may actually be—as well where they may restrain the enticing men out of the army, as where they would prevent mutiny in the army—equally constitutional at all places where they will conduce to the public Safety, as against the dangers of Rebellion or Invasion. Take the particular case mentioned by the meeting. They assert [“It is asserted” according to the New York Tribune] in substance that Mr. Vallandigham was by a military commander, seized and tried ‘for no other reason than words addressed to a public meeting, in criticism of the course of the administration, and in condemnation of the military orders of that general’ Now, if there be no mistake about this—if this assertion is the truth and the whole truth—if there was no other reason for the arrest, then I concede that the arrest was wrong. But the arrest, as I understand, was made for a very different reason. Mr Vallandigham avows his hostility to the war on the part of the Union; and his arrest was made because he was laboring, with some effect, to prevent the raising of troops, to encourage the desertions from the army, and to leave the rebellion without an adequate military force to suppress it. He was not arrested because he was damaging the political prospects of the administration, or the personal interest of the commanding general; but because he was damaging the army, upon the existence, and vigor of which, the life of the nation depends. He was warring upon the military; and this gave the military constitutional jurisdiction to lay hands upon him. If Mr. Vallandigham was not damaging the military power of the country, then his arrest was made on mistake of act, which I would be glad to correct, on reasonably satisfactory evidence. I understand the meeting, whose resolutions I am considering, to be in favor of suppressing the rebellion by military force—by armies. Long experience has shown that armies can not be maintained unless desertion shall be punished by the severe penalty of death. The case requires, and the law and the constitution, sanction this punishment. Must I shoot the simple-minded soldier boy who deserts, while I must not touch a hair of a wiley [sic] agitator who induces him to desert? This is none the less injurious when effected by getting a father, or brother, or friend, into a public meeting, and there working upon his feelings, till he is persuaded to write the soldier boy, that he is fighting in a bad cause, for a wicked administration of a contemptable [sic] government, too weak to arrest and punish him if he shall desert. I think that in such a case, to silence the agitator, and save the boy, is not only constitutional, but, withal, a great mercy. If I be wrong on this question of constitutional power, my error lies in believing that certain proceedings are constitutional when, in cases of rebellion or Invasion, the public Safety requires them, which would not be constitutional when, in absence of rebellion or invasion, the public Safety does not require them—in other words, that the constitution is not in it’s application in all respects the same, in cases of Rebellion or invasion, involving the public Safety, as it is in times of profound peace and public security. The constitution itself makes the distinction; and I can no more be persuaded that the government can constitutionally take no strong measure in time of rebellion, because it can be shown that the same could not be lawfully taken in time of peace, than I can be persuaded that a particular drug is not good medicine for a sick man, because it can be shown to not be good food for a well one. Nor am I am able to appreciate the danger, apprehended by the meeting, that the American people will, by means of military arrests during the rebellion, lose the right of public discussion, the liberty of speech and the press, the law of evidence, trial by jury, and Habeas corpus, throughout the indefinite peaceful future which I trust lies before them, any more than I am able to believe that a man could contract so strong an appetite for emetics during temporary illness, as to persist in feeding upon them through the remainder of his healthful life. In giving the resolutions that earnest consideration which you request of me, I can not overlook the fact that the meeting speak as ‘Democrats.’ Nor can I, with full respect for their known intelligence, and the fairly presumed deliberation with which they prepared their resolutions, be permitted to suppose that this occurred by accident, or in any way other than that they preferred to designate themselves ‘democrats’ rather than ‘American citizens.’ In this time of national peril I would have preferred to meet you upon a level one step higher than any party platform; because I am sure that from such more elevated position, we could do better battle for the country we all love, than we possibly can from those lower ones, where from the force of habit, the prejudices of the past, and selfish hopes of future, we are sure to expend much of our ingenuity and strength, in finding fault with, and aiming blows at each other. But since you have denied me this. I will yet be thankful, for the country’s sake, that not all democrats have done so. 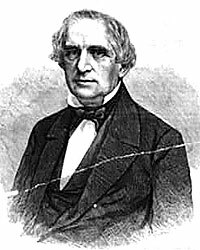 He on whose discretionary judgment Mr. Vallandigham was arrested and tried, is a democrat, having no old party affinity with me; and the judge who rejected the constitutional view expressed in these resolutions, by refusing to discharge Mr. V. on Habeas Corpus, is a democrat of better days than these, having received his judicial mantle at the hands of President Jackson. And still more, of all those democrats who are nobly exposing their lives and shedding their blood on the battle-field, I have learned that many approve the course taken with Mr. V. while I have not heard of a single one condemning it. I can not assert that there are none such. And the name of President Jackson recalls a bit [an instance] of pertinent history. After the battle of New-Orleans, and while the fact that the treaty of peace had been concluded, was well known in the city, but before official knowledge of it had arrived, Gen. Jackson still maintained martial, or military law. Now, that is could be said the war was over, the clamor against martial law, which had existed from the first, grew more furious. Among other things a Mr. Louiallier published a denunciatory newspaper article. Gen. Jackson arrested him. A lawyer by the name of Morel procured the U.S. Judge Hall to order a writ of Habeas Corpus to release Mr. Louiallier. Gen. Jackson arrested both the lawyer and the judge. A Mr. Hollander ventured to say of some part of the matter that ‘it was a dirty trick.’ Gen. Jackson arrested him. When the officer undertook to serve the write of Habeas Corpus, Gen. Jackson took it from him, and sent him away with a copy. Holding the judge in custody a few days, the general sent him beyond the limits of his encampment, and set him at liberty, with an order to remain till the ratification of peace should be regularly announced, or until the British should have left the Southern coast. A day or two more elapsed, the ratification of the treaty of peace was regularly announced, and the judge and others were fully liberated. A few days more, and the judge called Gen. Jackson into court and fined him a thousand dollars, for having arrested him and the others named. The general paid the fine, and there the matter rested for nearly thirty years, when congress refunded principal and interest. The late Senator Douglas, then the House of Representatives, took a leading part in the debate, in which the constitutional question was much discussed. I am not prepared to say whom the Journals would show to have voted for the measure. It may be remarked: First, that we had the same constitution then, as now. Secondly, that we then had a case of Invasion, and that now we have a case of Rebellion, and: Thirdly, that the permanent right of the people to public discussion, the liberty of speech and the press, the trial by jury, the law of evidence, and the Habeas Corpus, suffered no detriment whatever by that conduct of Gen. Jackson, or it’s subsequent approval by the American congress. And yet, let me say that in my own discretion, I do not know whether I would have ordered the arrest of Mr. V. While I can not shift the responsibility from myself. I hold that, as a general rule, the commander in the field is the better judge of the necessity in any particular case. Of course I must practice a general directory and revisory power in the matter. Historian David Donald wrote: “Lincoln considered his letter to Corning the best state paper he had written up to that time, and public response confirmed his feeling. 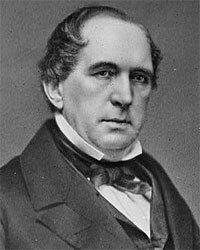 If it did nothing to convince the disloyal or the more extreme among the Peace Democrats, it reassured Unionists genuinely troubled by an assumption of despotic power on the part of the President.”20 A few months after the exchange of letters — in October 1863 — Corning resigned from Congress. He returned to political office only to serve as a delegate to the 1867 New York State constitutional convention. Although Corning survived stockholder dissatisfaction that year, the next year he stepped down and was succeeded by political and business associate Dean Richmond. The two quickly became estranged as Richmond ignored his former boss and Cornelius Vanderbilt increased his control of the railroad. Corning’s legacy was not lost, however. The city of Corning, New York is named for him. John W. Starr, Jr., Lincoln and the Railroads, p. 127-128. John W. Starr, Jr., Lincoln and the Railroads, p. 131. John W. Starr, Jr., Lincoln and the Railroads, p. 126-128. Glyndon Van Deusen, Thurlow Weed: Wizard of the Lobby, p. 225. Gideon Welles, Diary of Gideon Welles, Volume I, p. 323 (June 5, 1863). Gideon Welles, Diary of Gideon Welles, Volume I, p. 329 (June 14, 1863). Sidney David Brummer, Political History of New York State During the Period of the Civil War, p. 309. Sidney David Brummer, Political History of New York State During the Period of the Civil War, p. 310. David Herbert Donald, Lincoln Reconsidered, p. 442. Roy P. Basler, editor, The Collected Works of Abraham Lincoln, Volume VI, p. 260-269 (Draft of letter sent about June 12, 1863). Roy P. Basler, editor, The Collected Works of Abraham Lincoln, Volume VI, p. 260-269 (Letter to President Lincoln, June 30, 1863). J. G. Randall, “Lincoln and the Governance of Men”, The Abraham Lincoln Quarterly, June 1951, Volume VI, No. 6, . Abraham Lincoln Papers at the Library of Congress. Transcribed and Annotated by the Lincoln Studies Center, Knox College. Galesburg, Illinois. (Letter from Edwin D. Morgan to Abraham Lincoln [With Endorsement by Lincoln], June 15, 1863). David Herbert Donald, Lincoln Reconsidered, p. 443. Stephen W. Sears, editor, The Civil War Papers of George B. McClellan: Selected Correspondence, 1860-1865, p. 553 (Letter from George B. McClellan to Erastus Corning, August 1, 1863). Irene Dorothy Neu, Erastus Corning, Merchant and Financier, 1794-1872, . Abraham Lincoln Papers at the Library of Congress. Transcribed and Annotated by the Lincoln Studies Center, Knox College. Galesburg, Illinois. (Letter from Roscoe Conkling to Abraham Lincoln, June 16, 1863). Abraham Lincoln Papers at the Library of Congress. Transcribed and Annotated by the Lincoln Studies Center, Knox College. Galesburg, Illinois. (Letter from Francis Lieber to Abraham Lincoln, June 16, 1863). Abraham Lincoln Papers at the Library of Congress. Transcribed and Annotated by the Lincoln Studies Center, Knox College. Galesburg, Illinois. (Letter from Jacob M. Howard to Abraham Lincoln, July 8, 1863). Abraham Lincoln Papers at the Library of Congress. Transcribed and Annotated by the Lincoln Studies Center, Knox College. Galesburg, Illinois. (Letter from Hugh McCulloch to Abraham Lincoln, June 16, 1863). Abraham Lincoln Papers at the Library of Congress. Transcribed and Annotated by the Lincoln Studies Center, Knox College. Galesburg, Illinois. (Letter from Horace Greeley to John G. Nicolay, June 24, 1863).